Are you game for a drive on the wild side? 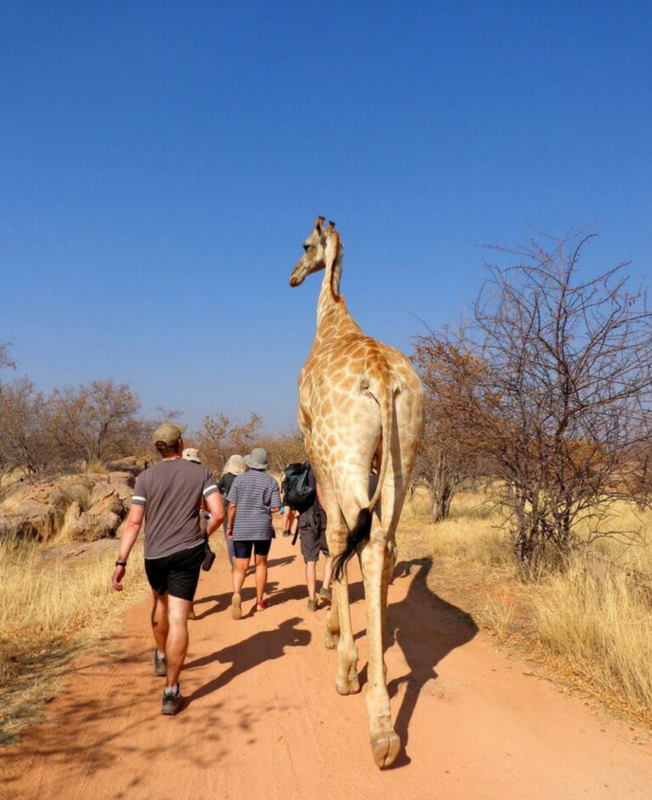 On this ultimate overland expedition cruising across the outback of Africa, where you camp out in the extremes and make lifelong friends in the most unlikely journey of your life. You will experience being one with nature like never before. It’s not about the arrival at a destination, but the total experience of the journey. Travel together, eat together, learn from each other’s cultures and form a strong, supportive team – so put all your electronics away, get off the internet, leave home behind you, and take advantage of your chance to meet new people and create a new life. The journey is on purpose built adventure Trucks, which are amongst some of the finest on the road. Camping gives you the freedom to build your own little home every evening. 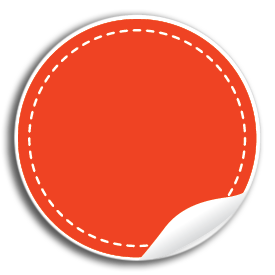 We provide you with heavy duty canvas dome tents which are standing height and approximately 2.5 x 2.5m across the base. Characterised by the large red dunes that surround it, Sossusvlei is a large, white, salt and clay pan and is a great destination all year round. 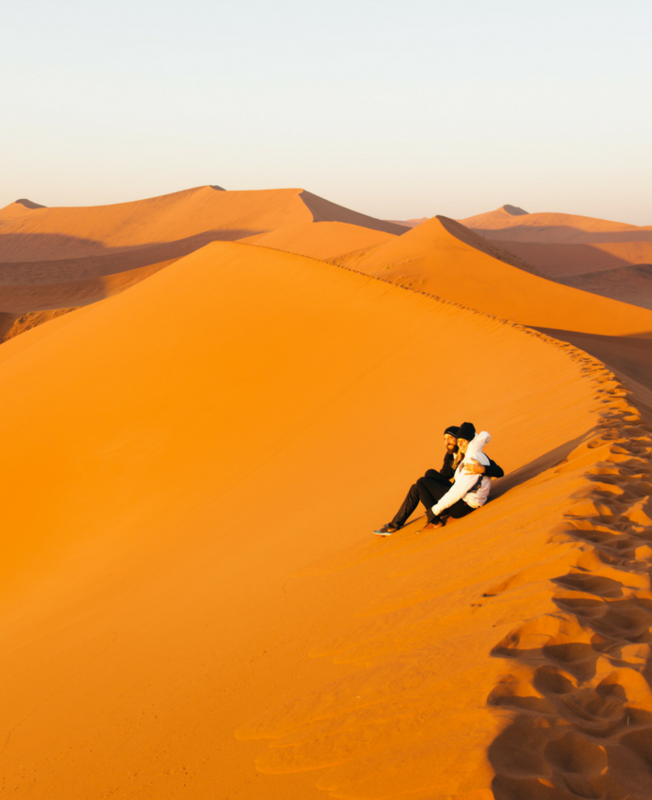 Spend time catching some priceless sunrise over the red dunes which is an iconic highlight of any trip to Namibia. A brisk climb up Dune 45 offers us the perfect vantage point to marvel at the changing colours of the desert sunrise. One stop shop for adrenaline fuelled adventures. Not to be missed is the selection of famed coffee shops and bakeries that offer a delightful range of German inspired treats. Meet the Himba people of Northern Namibia. 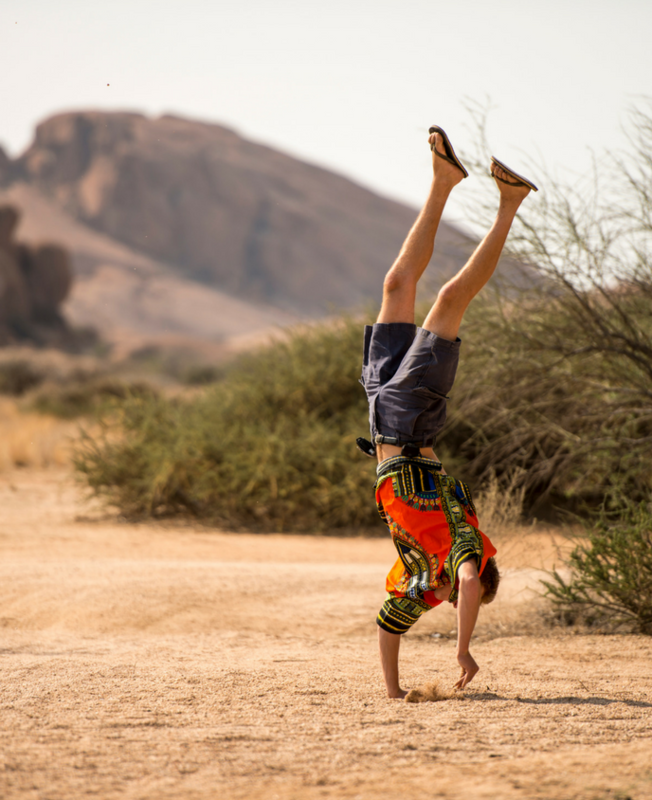 Get a better understanding of the way of the Himba, their lifestyle and their traditions and can live so without interfering with those still living in their natural environment. Etosha is the venue for some of the unique game viewing experiences in Africa. explore the edges of Etosha Pan in search of the abundant wildlife that occurs in the park. 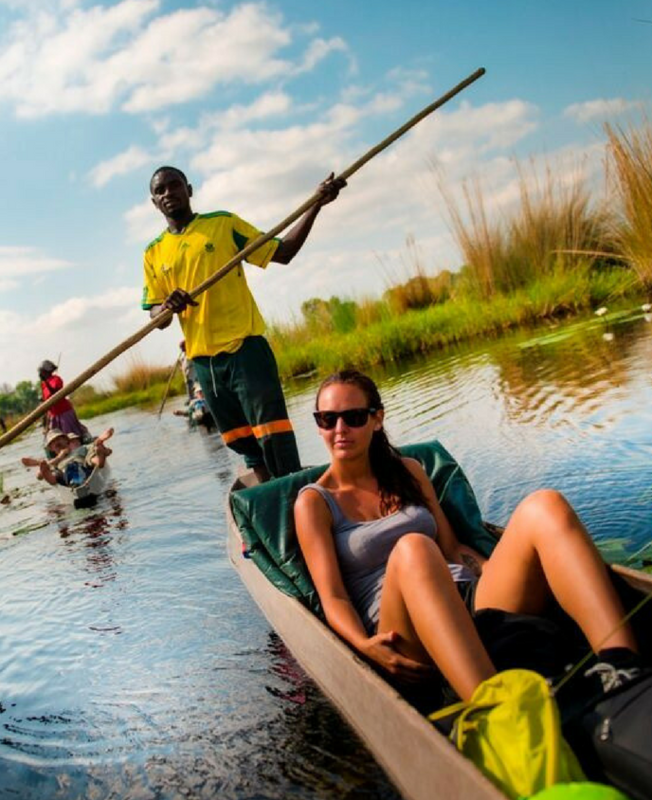 This half-day canoeing provides the ideal break away from your normal routine. You will experience the Orange River with its abundance of bird life and throw a wave at the locals as they sit on the banks and fish. Experience the sheer thrill of riding a quad bike through Namibia's boundless expanse of shifting sand dunes. 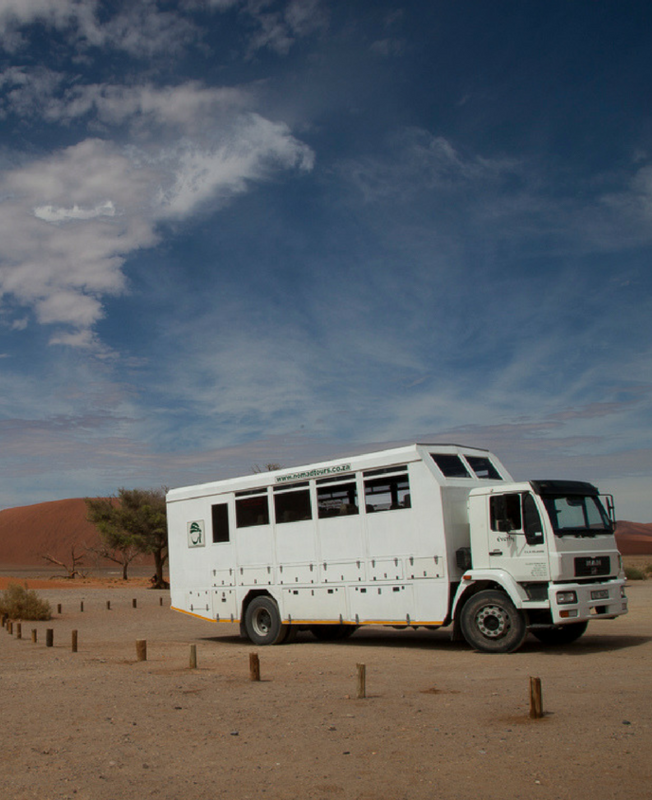 After the engines are revved up and ready to roll, an experienced guide will lead you through the Swakopmund River mouth into the dune belt. There’s no adventure quite like that of sand boarding especially in the sand dunes of Swakopmund. The thrill of speeding down a hill of sand on a board is reminiscent. Try it out yourself! Swakopmund is one of the best drop-zones in the world. The aerial view of the Namibian Desert with Swakopmund snuggled next to the Atlantic offer some spectacular eye-balling. This is a fun-filled mornings only activity. Enjoy the antics of feeding the seals and pelicans on board. Fresh oysters, sparkling wine and snacks are served before returning to the harbour around midday. Not the camping kind, choose to stay in hotels but nothing luxurious, you can expect 2 – 3 star twin / double accommodation and the majority of it is en-suite. Hotel option is to fill the gap between a camping experience and an expensive lodge-tour. The truck will remain in the area where the campers are and one of the guides will take you over to your accommodation.